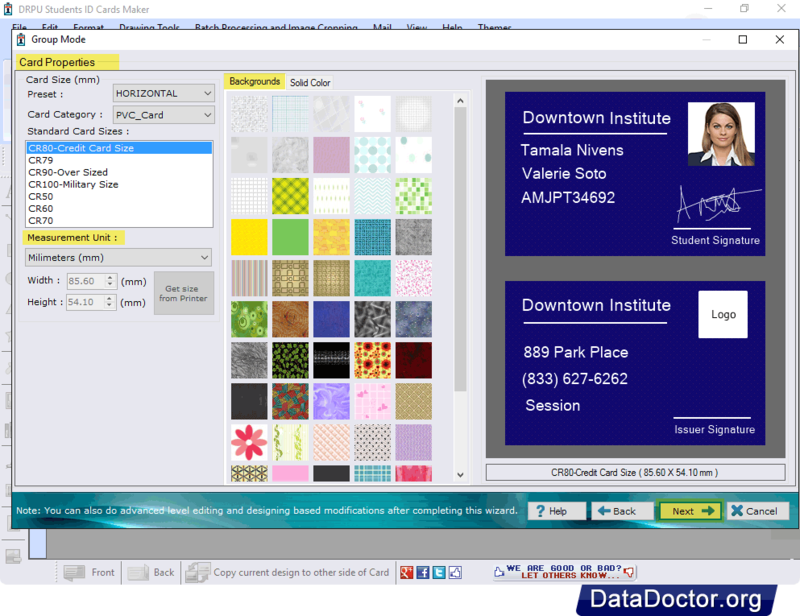 Software designs multiple students id cards with different barcode value and text. 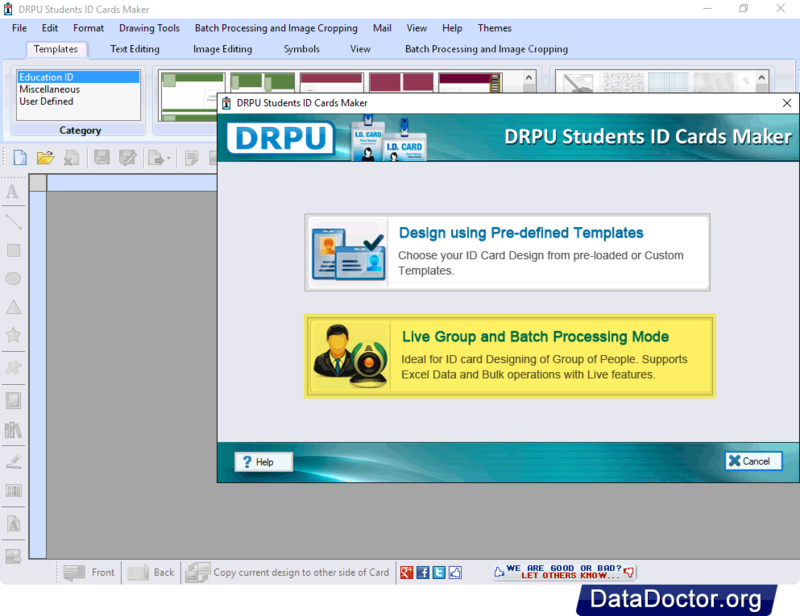 Software provides Live Group and Batch Processing Mode to design ID Cards of group of students simultaneously. Camera option is also available in software to capture photo of any user require for your ID Card. You can also email your designed ID Card to the specified email address. Provide option to choose your ID card design from pre-loaded or Custom Templates. You can Export your ID Cards as Image (jpeg, png, gif etc.) , as PDF and as Template. Batch Processing Series feature allows to generate the multiple copies of ID cards with different barcode and text value. Provide option to send designed ID card via email settings. 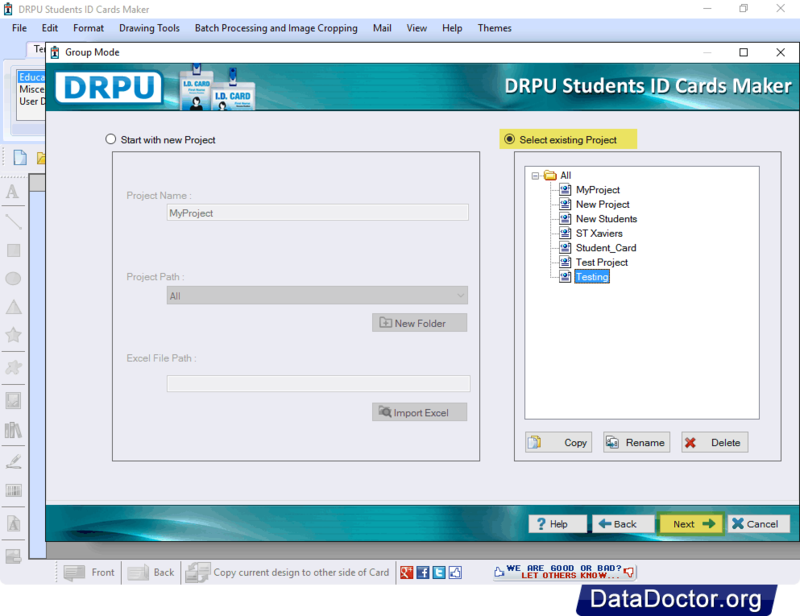 Software provides Image Cropping Option to capture image for your ID Card. Select any one module as per your requirement. Here we have selected "Live Group and Batch Processing Mode" for demonstration purpose. You can start designing ID Card by choosing option "Start with new project". If you want to make any changes in existing project, then choose option: Select Existing Project. You can modify Card Properties and Background as per your requirement. Here, You can modify ID Card Details and also add new details using "Add New Control" button. To print your designed Student ID Cards, First go to print icon from tool bar. Set various print settings and click on Print button. 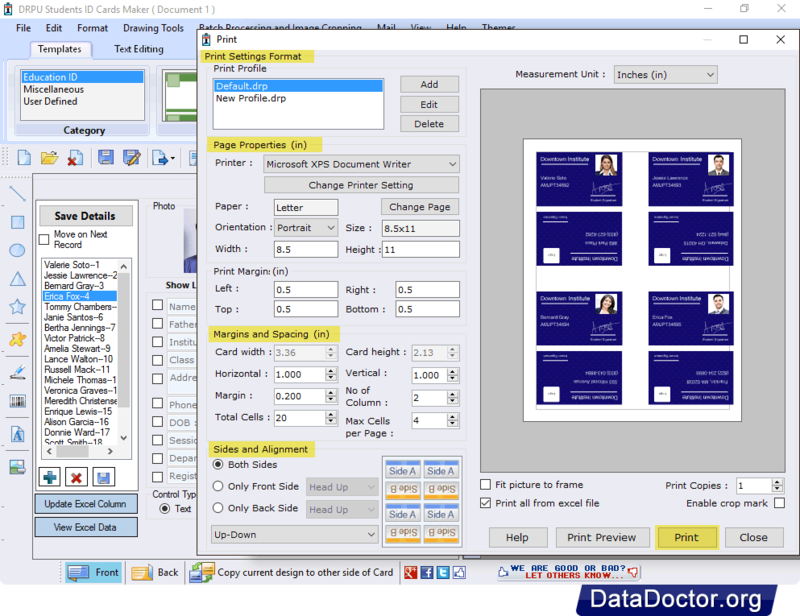 Provide facility to create ID cards by the help of "Start With Template" or Start by Using Wizard" option. Option to print your created Student ID cards using advance print settings. 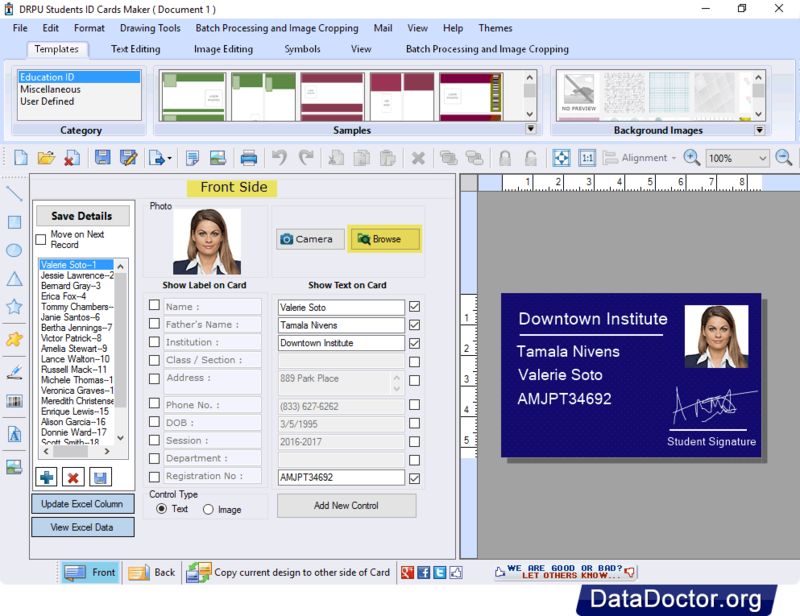 Facilitates Image designing tools Text, Line, Ellipse, Triangle, Star, Symbols, Rectangle, Signature, Barcode to design student ID Cards.